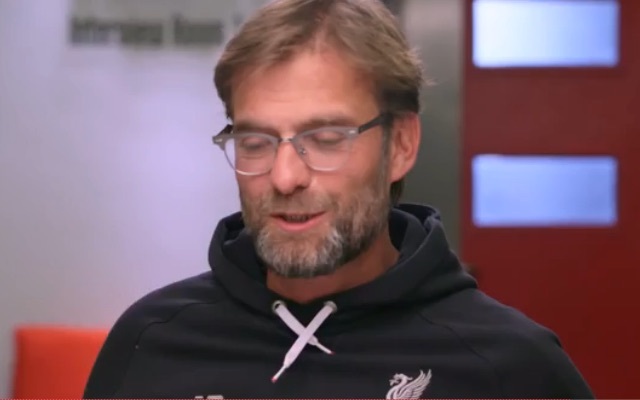 Klopp names favourite ever footballer, American bucket list & gives Liverpool penalty advice! LFCTV’s Kop Kids have pulled it out of the bag again! Previously, they’ve nailed candid interviews with Kolo Toure, Luis Suarez and Steven Gerrard, and have now offered Liverpool fans a Q&A with manager Jurgen Klopp. Instead of questions about injuries, tactics and potential transfers, the German was asked a variety of questions about football, pets and America! Have a read for yourself. It’s good stuff. Who is your favourite footballer of all time? My father gave me some advice when I was very young – whatever someone tells you in the future, don’t forget Pele is the best. I met him once. I am not often nervous but in this moment I was shaking. He’s a wonderful person. Do you have any advice on taking penalties? Have a plan. There is a place in the net where the keeper cannot reach the ball. The problem is the pressure you feel in a penalty shootout. I didn’t take many penalties but I never missed one. You just need to stick to your plan. Name three things on your American bucket list? Watching the Super Bowl live, watching the NBA finals live (I already did that) and watching a baseball game live because I have no idea why so many people in America watch it. I have to feel it. I have a pet tortoise called Kloppo. Do you have a pet? Yes, a dog called Emma. The most beautiful dog in the world. A collie mix. When I was young there was a famous dog on TV called Lassie, a collie, the smartest dog in the world. Emma is the centre of our family and everyone loves her. I love pets, especially dogs. What would it bring to you to win the title with Liverpool FC? It would mean everything. To be really successful and win a title with a great club like Liverpool would be 100% one of the greatest things I could ever imagine. Who knows most about football, Jurgen Klinsmann or Jurgen Klopp? I don’t know. We have met a few times. I like him. He’s a nice guy but it’s not a battle. We can both be good at the same time because we manage different teams. Can you do the Sturridge dance? (Klopp delivers). The problem is when you start you cannot stop. Try it! If you do it long enough then you can fly. What would you say to convince an American to make Liverpool FC their EPL team? It’s the best club in the world. If you have no idea about football you can convince them. If you are born as a Dortmund fan then it’s difficult to say come to us. If you are young and open, and start loving football and really think about it then there are not a lot of alternatives to LFC. If you are a fan of another club it’s okay too. But if you want to be a fan of ‘the’ club then it’s Liverpool FC. My mum shouts at my dad for falling asleep on the couch but he tells her that Jurgen Klopp likes taking power naps too…. Yeah, I do actually. Your father told your mother that? You can sleep between lessons but not during them. I don’t have a power nap when I have training. I take it so I am fresh again for the next session. How do you explain your decision to go and see Celine Dion in Las Vegas? It was quite easy because my wife Ulla loves Celine Dion and my two sons were with us. When she started singing, Ulla started crying and she’s not that emotional. We were all surprised. It was a great concert. She’s a fantastic singer and we had a lot of fun that night. What’s your favourite American sport? Basketball. I love it. I can’t believe these giants move like kids. They are so flexible. I saw all seven finals (in the NBA) last season and I was really impressed. Did you say you would send players to Alcatraz if they misbehave? No, that was only a joke! Nobody should be afraid of this. No-one should stay there longer than necessary. Thank you for your questions. This was the most beautiful bunch of journalists I have ever met.